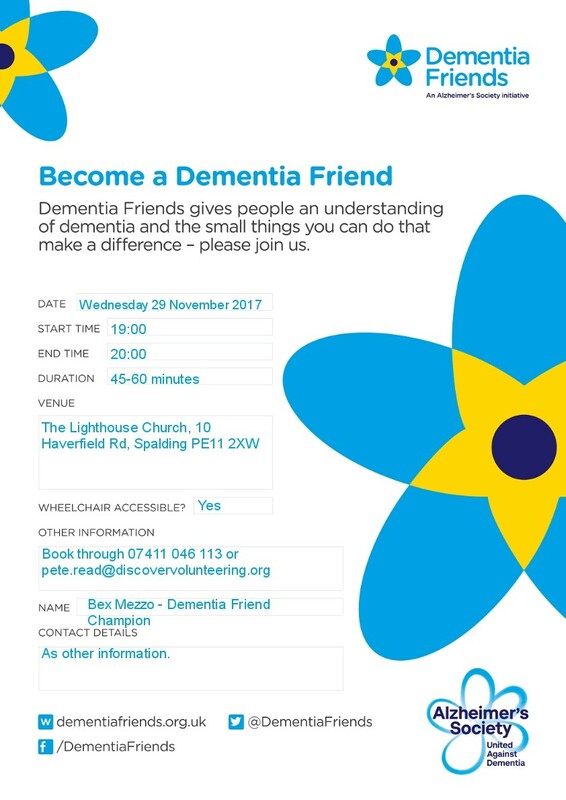 A wonderful opportunity to find out more about how to become a Dementia Friend and the vital support given to people with Dementia. Workshop by Bex Mezzo, in Spalding on Wednesday 29th November. Suitable for families and young people. 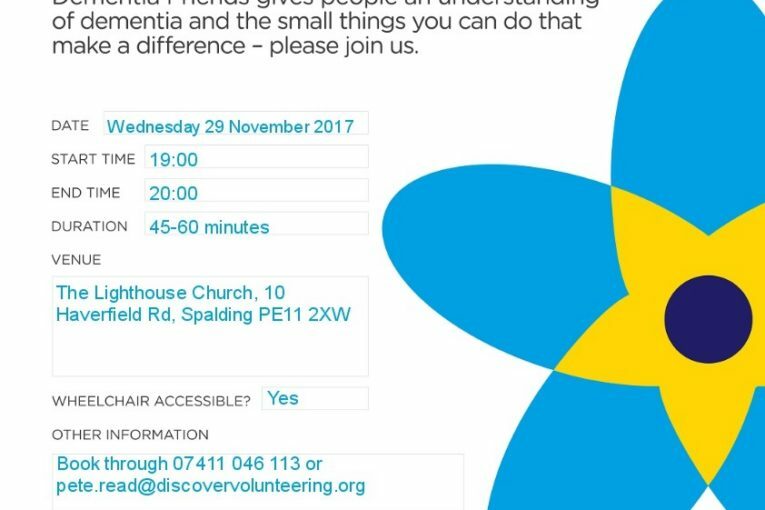 Organised by Discover Volunteering on behalf of LCVYS.